A tax credit is a tax incentive which allows certain taxpayers to subtract the amount of the credit from the total taxes they owe. This book explores some of the different tax credits that are currently available including credits for child and dependent care, adoption benefits, energy and housing credits, and income and work credits. There are two tax provisions that subsidize the child and dependent care expenses of working parents: the child and dependent care tax credit (CDCTC) and the exclusion for employer-sponsored child and dependent care. Chapter 2 provides a general overview of these two tax benefits, focusing on eligibility requirements and benefit calculation. Chapter 3 first briefly summarizes key components of the CDCTC, including reviewing eligibility requirements and how the credit is calculated. It then provides estimates of selected characteristics of families—such as income, number of children, marital status, and child care expenses—that claim the credit and, where appropriate, contrasts them with families that do not claim the credit. Chapter 4 focuses on federal adoption tax benefits, which consist of an adoption tax credit and an income tax exclusion for employer-provided adoption assistance. Chapter 5 explores one policy option for promoting residential energy efficiency: tax credits. It begins by providing an overview of the current residential energy-efficiency tax credits. It then goes on to provide an economic rationale for residential energy-efficiency tax incentives, introducing the concept of “market failures” and “market barriers” which may lead to suboptimal or “economically inefficient” investment in energy-efficiency technologies. Chapter 6 provides a brief overview of the renewable electricity PTC. The first section describes the credit. The second section provides a legislative history. The third section presents data on PTC claims and discusses the revenue consequences of the credit. The fourth section briefly considers some of the economic and policy considerations related to the credit. The chapter concludes by briefly noting policy options related to the PTC. The low-income housing tax credit (LIHTC) program is one of the federal government’s primary policy tools for encouraging the development and rehabilitation of affordable rental housing. As discussed in chapter 7, these nonrefundable federal housing tax credits are awarded to developers of qualified rental projects via a competitive application process administered by state housing finance authorities. Chapter 8 provides both an in-depth description of The American Opportunity Tax Credit (AOTC) and an analysis of its economic impact. This chapter is organized to first provide an overview of the AOTC, followed by a legislative history that highlights the evolution of education tax credits from proposals in the 1960s through the recent permanent extension of the AOTC at the end of 2015. This chapter then analyzes the credit by looking at who claims the credit, the effect education tax credits have on increasing attendance at higher education institutions, and administrative issues with the AOTC. Finally, this chapter concludes with a brief overview of various policy options. 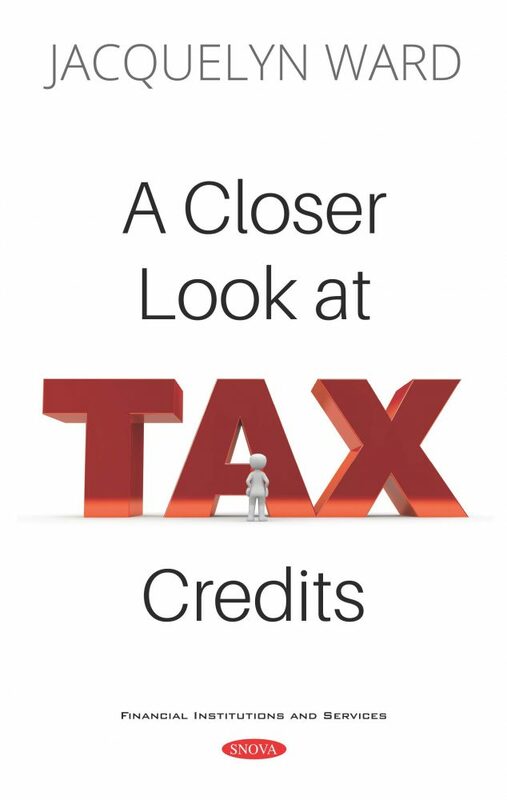 Chapter 9 provides a general overview of the earned income tax credit (EITC). The chapter then summarizes the key legislative changes to the credit and provides analysis of some of the congressional intentions behind these changes. Chapter 10 looks at the Work Opportunity Tax Credit (WOTC). The WOTC is a provision of the Internal Revenue Code that allows employers that hire individuals with certain personal characteristics, including veterans, recipients of certain public benefits, or other specified populations, to claim a tax credit equal to a portion of the wages paid to those individuals.